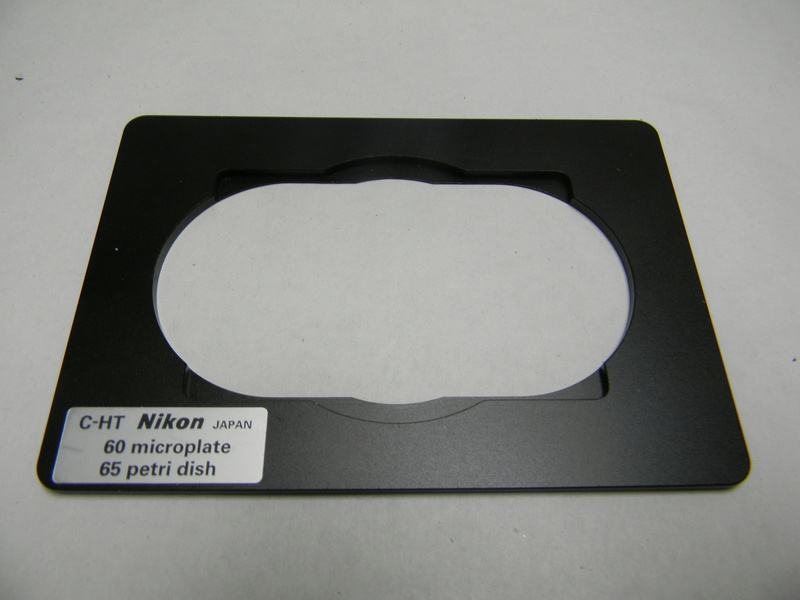 Nikon 60 Microplate/65 Petri dish C-HT Stage Holder Microscope Adapter . New Life Scientific, Inc. This in good condition with very little scratches or marks.